The BULLETINS of the North Rhine-Westphalia Local Authorities Confederation are a valuable source of information on issues of municipal policy. The individual bulletin notes are initially published on the StGB NRW’s website. Once a month the bulletin notes are sorted by substantive categories, numbered and wrapped ready for printing. 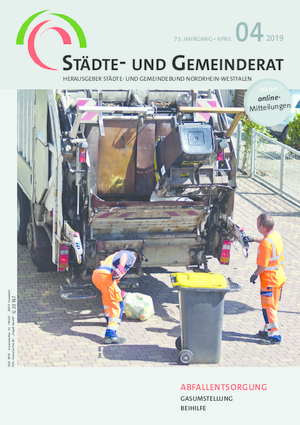 The BULLETINS periodical then appears on the internet as a read-only PDF parallel to the printed version of the special-interest municipal periodical STÄDTE- UND GEMEINDERAT, at the beginning of a month (10 times a year - 6 euros per issue plus p & p). The PDF bulletins are for subscribers, but are also directly accessible on the internet for council members of the StGB NRW's member municipalities. For all other visitors to the StGB NRW's website, the BULLETINS will be unlocked after four months. Since there are frequent references to earlier bulletins, we recommend taking out an annual subscription at the all-inclusive price of 78 euros. 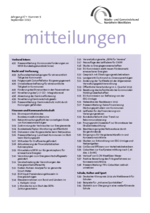 The BULLETINS as part of the STÄDTE- UND GEMEINDERAT magazine can be ordered from the NorthRhine-Westphalia Local Authorities Confederation, Kaiserswerther Strasse 199-201, D-40474 Düsseldorf, Fax: 0211-4587-211 or electronically using the Order form. We'll be pleased to send you a sample issue.